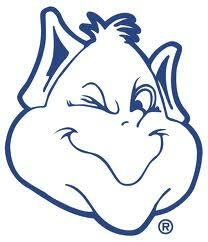 Travis Ford’s debut at Chaifetz Arena was an exciting one, as the Saint Louis Billikens romped to a 124-85 victory over Greenville College Friday night in the Billikens’ lone exhibition game of the season. The Billikens now set their sights on the season opener next Friday against Ball State. Game time at Chaifetz Arena is scheduled for 7 p.m. While it won’t go in the official record book since it was an exhibition game, the 124 points scored by SLU would be the second-most all-time behind the school record of 130. The last time the Billikens scored more than 100 points in a game, either regular-season or exhibition, was Nov. 9, 2005, a 102-67 exhibition victory against UMSL. Freshman Zeke Moore led the Billikens with 21 points on 5-of-7 shooting from the field, which included several highlight reel dunks, and a 10-of-10 performance from the stripe. Senior Reggie Agbeko scored 15 points and gathered 18 rebounds, while Mike Crawford chipped in 19 points. Also scoring in double figures were Elliott Welmer (16 points), Jalen Johnson (14 points), Jermaine Bishop (13 points) and Aaron Hines (13 points). The Billikens shot a sizzling 59 percent from the floor, including a 61.5 percent clip in the second half. Greenville, which is noted for running a fast pace offense and utilizing a pressure defense, was led by Elmo Smith’s 12 points. The Panthers took 91 shots in the contest, including 56 3-pointers.